The Wauhatchie School is a nonprofit organization that provides place-based, nature immersion education for students and training for educators. This educational model facilitates students holistic development—body, mind and soul–and helps them grow into life-long learners and compassionate stewards of the earth. The Wauhatchie School serves Pre-Schoolers, Home School groups, Summer Campers, and the Community through public workshops and Forest Kindergarten Teacher Training. Having doubled the number of students and groups they serve, they realized that one basic element stood in the way of continued growth for their educational programs: a sustainable restroom--specifically two Sun-Mar Excel NE composting toilets--that can accommodate the needs of their guests. With these restrooms, the Wauhatchie School can expand their programs knowing students can enjoy the unique learning opportunities available to them in Lookout Valley. And yes, there's definitely a pun here about "nature's call". Posadas in the Park is an interactive, community event where American and Latino Christmas traditions intersect in pursuit of unity in the East Lake community. Seeking activities that initiate and heal community relationships, ELLA (East Lake Language and Arts) decided: what’s better than to celebrate together? The event, in partnership with East Lake Neighborhood Association, OPEN East Lake, and East Lake Community PTA, includes a neighborhood potluck, a Christmas song sing-along, and a gingerbread house project. A Christmas party for the whole neighborhood, Posadas in the Park is an evening where families of all colors and backgrounds can come together, eat good food and celebrate the holiday season. Art programs are a particularly underfunded and dwindling resource in public schools, but Hamilton County music teachers have created a solution to that problem which encourages that spark of artistic creativity in students. Hamilton Sings! is a once-in-a-lifetime music-making opportunity uniting 5th grade students from every elementary school in Hamilton County. Students in Chattanooga and Hamilton County rarely get to meet children their age who live in communities other than their own, so by participating in Hamilton Sings!, students will not only get to meet one another, but collaborate with students whom they may never have had the chance to know otherwise. The aim of this event is to build empathy, form bonds, and foster understanding in our community, creating a lasting impact. Hamilton Sings! is offered at no cost so as to keep it open and available to every student. It involves singing, dancing, and drumming, and on the day of the event, the students collaborate on a musical project which then culminates in a public concert. Toys create a path for children to learn and engage with the physical world while expanding their imagination. Yet often, children with disabilities are unable to play with toys, limiting their ability to benefit from the learning opportunities toys help provide. And for many families, the expense of buying a specially adapted toy is beyond their reach. 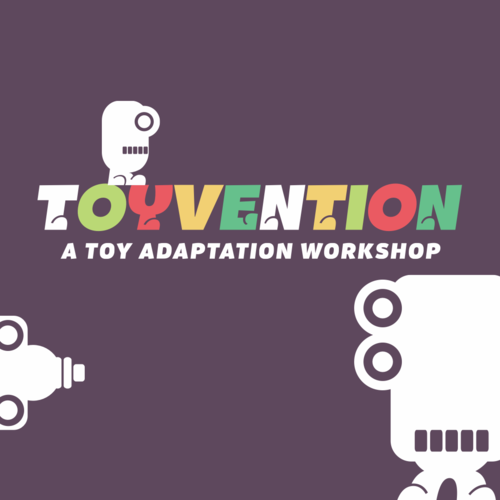 To help solve this problem, The Enterprise Center hosted Toyvention, an “adapt-a-toy” workshop focused on adapting up to 225 electronic children’s toys to suit children with disabilities. Volunteer “toy hackers” attended the workshop and made modifications to the toys, rewiring them and adding an easy-to-press button so the toys came to life for the children. Each toy that was purchased for modification or brought to the workshop was donated to the Signal Centers Toy Lending Library to keep helping children’s imaginations flourish. Hill City Community Compost stemmed from Monika Groppe’s passion for food and community. Through Causeway, Monika hopes to raise funds to establish the area’s first composting system in Hill City. This compost will be used to provide rich soil for the Hill City Community Garden where good, quality food will be grown for the neighborhood. A group of local artists, the UTC Theater Department and the Friends of Moccasin Bend partnered to create a “bike-to” arts festival celebrating the urban forest in Hill City. Festival goers learn about the urban forest, participate in multidisciplinary arts, and be entertained by local exhibits. The Springs House of Hope will provide transitional housing to our community's most needy women. This project will provide transitional housing for three HIV+ women for three months. It is the goal of The Springs to serve as an oasis for guests, fostering an environment of encouragement and support to help each woman begin their journey towards a more secure future. How can media best serve the civic life of Chattanooga? This is the question that Southern Dialogues will be exploring through the form of documentaries. As Chattanooga continues to change dramatically, people need ways to share and contribute to the conversation surrounding its changes, while also listening, building trust, and acting toward a better future. Through documentaries, putting these conversations into digestible bits online and providing a parallel venue to share what needs to be said, people can focus on finding their best way to tap in and make an impact. The McCallie Walls Mural Project is beautifying the stretch of McCallie Avenue that borders the Highland Park neighborhood with astounding murals by Chattanooga's best artists. While this street was in poor condition, the project hopes to inspire more investment in this area's beautification through involving local artists and neighbors in the process. Success in schools starts at the very beginning: Kindergarten readiness. Transforming Early Childhood Community Systems (TECCS) is a program designed to improve the academic, social, and emotional readiness of young children by measuring and mapping developmental progress. The Pediatric Health Improvement Coalition of the Tennessee Valley raised money to start a lecture series with community discussions on TECCS in Chattanooga and how it could benefit our educational system. Since 2011, Art 120 has brought thirty-nine artists into Chattanooga schools and reached over 14,000 elementary school students without an art program. How? With art cars. An art car is basically mobile art - it can be a car, a bike, or contraption. These kinetic sculptures involve a variety of mediums, processes, and styles to engage kids of all ages. With this program, Artists spend the day teaching at a school: showing their work, how it’s made, and why they came up with their creation while allowing children to interact and inspire their own imagination. The Soddy Daisy Food Bank has been serving Northern Hamilton County's population since 1989. Through providing nutrient dense fruits and vegetables, the Food Bank is working to improve the overall health of both individuals and the whole community. The Food Bank raised money to purchase and distribute 1,700 pounds of fresh produce each week to prevent food insecurity and chronic health problems for their growing number of elderly residents. Along with the food parcels, the Food Bank also provided healthy recipes so their clients could easily incorporate the foods into their daily routine. The Christian Family Theater provides training for both experienced and inexperienced youth to help them embrace the theatrical arts in a family-friendly environment. Through the production of the Joseph musical, CFT will focus on creating a multi-generational cast to give children and youth the opportunity to work with mentors that may or may not be part of their own family. With open doors, CFT is committed to building community in creative ways. Families with autistic children need access to special books that engage kids who have sensory differences associated with autism. These sensory-friendly books can also help with skill building like categorization, generalization, and social stories. To provide better access to these books for families that need them, the Chattanooga Autism Center will purchase new books for their public lending library. The books will also be used during children's events, kids programs, and therapy sessions at the CAC to ensure that all children coming in and out of their doors are given the opportunity to experience reading in a way that fits their learning style. Physical activity in our elementary schools in an important aspect of success in the academic world. The Normal Park Lower School wants to promote health and wellness within their school beginning at a young age. The children previously conduct PE on a small stage that did not adequately fit their growing school. Through construction of a new gym for their campus, Normal Park can continue to encourage physical education within their young students. There are a multitude of families in the Chattanooga area who have children with Down Syndrome. Theresa Nix decided to started her own nonprofit called Downside Up to help other parents and children on the same journey that she went through as a mother of a child with Down Syndrome. One of her first offerings through the organization was a video to help educate new parents of babies with Down syndrome on what they should expect, while also congratulating and comforting them. Theresa has future plans to organize a camp where these families can spend a weekend away from daily life to play, relax, and fellowship with other families on the same amazing journey. The Rivermont School Fan Club is no ordinary fan club when it comes to expanding educational opportunities at their school. Through raising money to purchase Chromebooks for STEM at Rivermont, the Fan Club is able to provide immediate, direct, and positive impact on the lives of their students and teachers. These promising students are given the opportunity to use the Chromebooks to conduct research, write papers, develop creative projects, and prepare for the new TNReady test format. One Chromebook at a time, this project raises enthusiasm for a great neighborhood school. The Christian Family Theater provides training for both experienced and inexperienced youth to help them embrace the theatrical arts. Through the production of a Broadway musical in a family-friendly environment, CFT will allow children of all levels and abilities to experience and participate in local theater. Using theater as an avenue for creative community building, CFT provides theater opportunities in a safe, positive, and nurturing environment to make the art of theater accessible to all. Children are valuable to our community, no matter who they are or where they came from. Unfortunately, some slip through the cracks. When foster children are handed trash bags as storage for their belongings, feelings of isolation are reinforced in those kids. Partnerships for Families, Children, and Adults sees the opportunity to support these children who often go under the radar through providing suitcases filled with stuffed animal, toiletries and essentials for children in the foster care system. This is more than just addressing physical needs; this is giving kids the gift of dignity. There’s nothing like a little cardio exercise to stir up charitable excitement. The Stuffing Strut is an opportunity to raise funds for schools and a variety of charitable organizations in North Hamilton County through a 5k race. The Stuffing Strut also provides an opportunity to collect non-perishable items for North Hamilton County Food Bank.